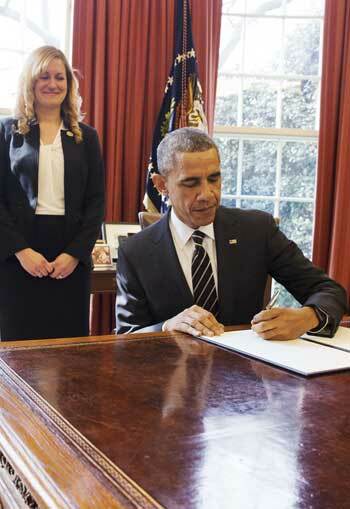 On March 19, President Obama signed a new executive order titled “Planning for Federal Sustainability in the Next Decade,” which will guide federal agencies toward more sustainable government operations. From planning for resiliency in the face of natural disasters and climate change to implementing more stringent stormwater management practices, the order addresses many aspects of landscape architecture and community planning. Reaching the order’s targets will then require federal agencies to collaborate with thought leaders in both professions, as well as state and local governments, to seek out and implement industry best practices. The prominence the new executive order places on the sustainable design and management of federal facilities means the U.S. General Services Administration (GSA) — as the civilian government’s primary landlord — has not only the great responsibility, but also the great opportunity to increase its role as a government leader in sustainability. incorporating climate change preparedness and resilience into planning for new facilities and renovations of existing facilities, and into facility management practices. Read the full text of the executive order and GSA Acting Administrator Denise Turner Roth’s response to the order. This guest post is by Karen Handsfield, AICP, LEED AP, an urban planner and policy analyst with the Urban Development Program for the U.S. General Service Administration’s Office of Chief Architect in Washington, D.C. and Christian Gabriel, ASLA, RLA, National Design Director for Landscape Architecture for the U.S. General Service Administration’s Office of Chief Architect in Washington, D.C.